Fridays and Saturdays only. Call Steak + Vine for details. Steak + Vine offers a beautiful event space [60 ppl max] In the heart of downtown La Grange, Il . We are available for Holiday luncheon parties Monday - Saturday until 4pm. Lifelong friends, Nick Gangas and Michael Wilson have returned to their childhood home of La Grange,Il. 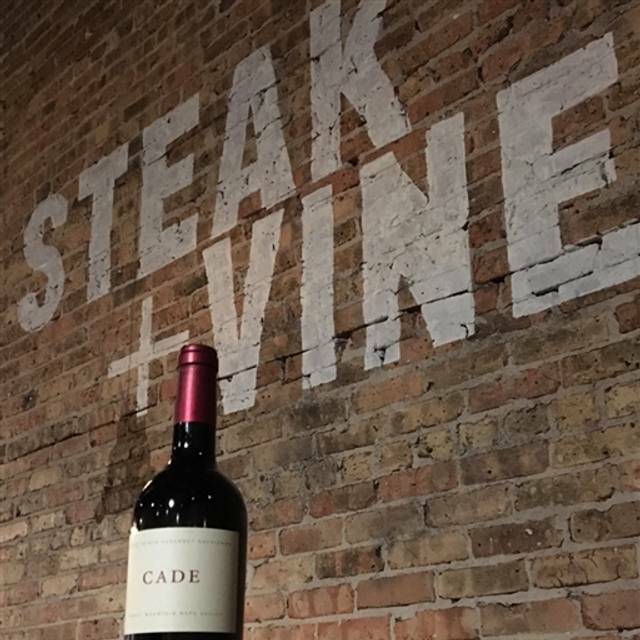 Steak + Vine opened its doors in July of 2016; it is the culmination of a lifetime of conversation, good times and friendship. 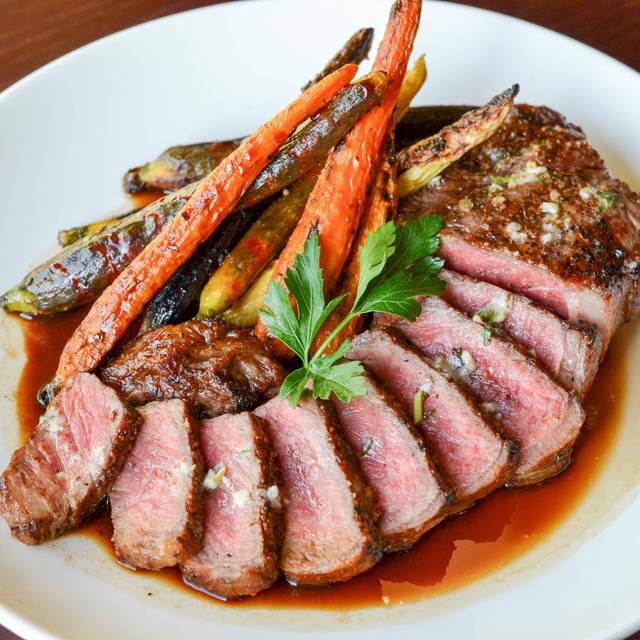 Steak + Vine is an American Steakhouse that has shaken off all pretension. It’s simply about great food, great service and great time. Nick and Chef Michael would like to welcome you in to enjoy Prime Steaks, Seafood, an expansive wine list, local beers and craft cocktails. Whether it be in the lounge or in the dining room, you will be treated to an exceptional experience. Love this place. So yummy and the best service anywhere. The entrees were good. They accidentally brought out the wrong entree out for one of us but quickly fixed the problem. They were kind to give us a free dessert. But the apple dessert was way too oily and kind of ruined the experience. I was a little disappointed that the dessert was so bad. Food was very good and so were the drinks. I had the berry drink and substituted tequila instead of the bourbon and it was great. After you get past the chaotic drink menu wording, it was worth it. Manager was very sweet. 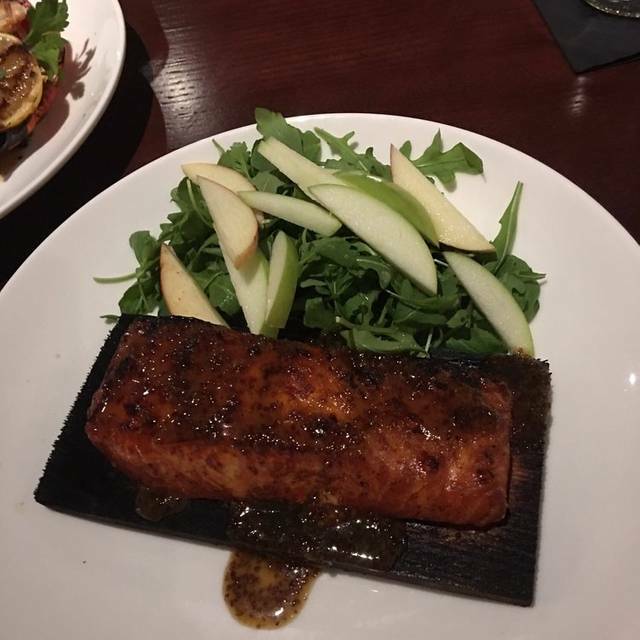 My husband ordered the salmon and didn’t realize it had honey on it and he’s allergic (we didn’t think of it), they kindly made him another one without honey and made a note on out profile for next time. We came up with a group of 10 people to celebrate my friends birthday and watch the NCAA final four games and it was fantastic! The service was great the drinks and food were amazing and the ambience was a lot of fun! Nick, the owner, was very accommodating! We will definitely be frequenting this place! This was our first time at this restaurant. It is cute and I love the brick walls and the ambiance. The food was nice and our waitress very nice. The onion soup was thick and tasty. My entree was the veal chop. I asked for extra mushroom marsala sauce (I had also ordered mashed potatoes). The veal chop was huge. It was a bit fatty, but other than that it was delicious. Their website needs to be updated in that a wine shown on the site is no longer available, but the waitress was great in helping me. I tried 3 "tasters" of different wines and chose one that I enjoyed with my meal. We will come back again and bring the family. I really enjoyed the food and especially the server we had. I'm looking forward to dinning here again although, just a tad pricey. Sometimes a menu comes with a higher price tag so it's worth it. It was our first visit and we went on a Sunday for a birthday celebration the food and service was excellent I would definitely come back . One of our favorite restaurants but this was our first time for brunch. The food was great and very reasonably priced. Megan is a great server! Great food and great service! We'll be back soon. Great experience. All of the food was delicious and server was very attentive. Highly recommend! Thank you , the steaks were made well and cooked perfectly. Great service and food. The servers where fabulous. We will definitely be back for another date night! Our waiter was very sweet, attentive. He was in training. His manager came by to see if all was good, which it was. Our dishes and wine were wonderful. We love this place! A neighborhood gem!!! This was our third visit and we will be back again. Great food. Cool space. Friendly staff. Great Menu! Food was great and service was very good. The specials including the scallops with risotto and the shrimp polenta dish were very good. The peanut butter and chocolates is was fabulous and so was the creme brûlée. My husband loved his steak as well. We love this restaurant and our waiter was the best! Knowledgeable about every menu item. He was helpful with beer and drink choices too. We love sitting in the area near the bar. Service was good but the food quality for brunch was just OK.
We ate at Steak & Vine after seeing a play at Drury Lane. I was kind of off on reservation time, but called to adjust, & they were very accommodating. Our meal was delicious, & our waitress very attentive. The steaks were nothing but average for the price. I would go again but maybe for burgers. They looked good. The French onion soup was too sweet. I've had better steak elsewhere. Service was great. Food was average. I ordered the onion soup, hanger steak with sauteed mushrooms and spinach, bread pudding for dessert and a couple of cocktails. The steak was cooked perfect and everything was seasoned well. 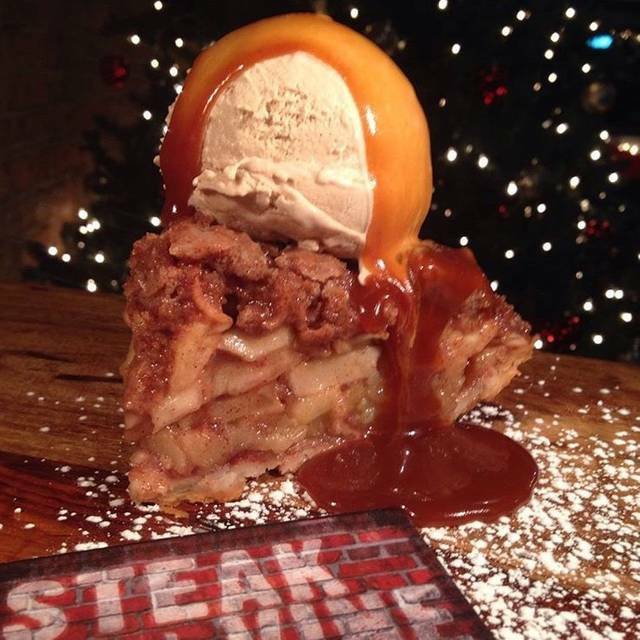 The bread pudding was made in house. The only drawback was only one side was served with my steak. I like a vegetable and a starch. Unfortunately, I've experienced that a few other restaurants are going that route. I realize that you can order another side ala carte, but two sides should be included in any dinner. We were seated on time. It was a Thursday, so the restaurant was not crowded, as it may be on weekends. It's worth a trip back, as there were a couple of other entrees I would like to try. We had the salmon and chicken. Both were excellent. Our waitress was very accommodating and checked with us often. This is our first visit to Steak and Vine. We enjoyed our visit and plan to return. Excellent French onion soup, fish and the hangar steak was delicious. 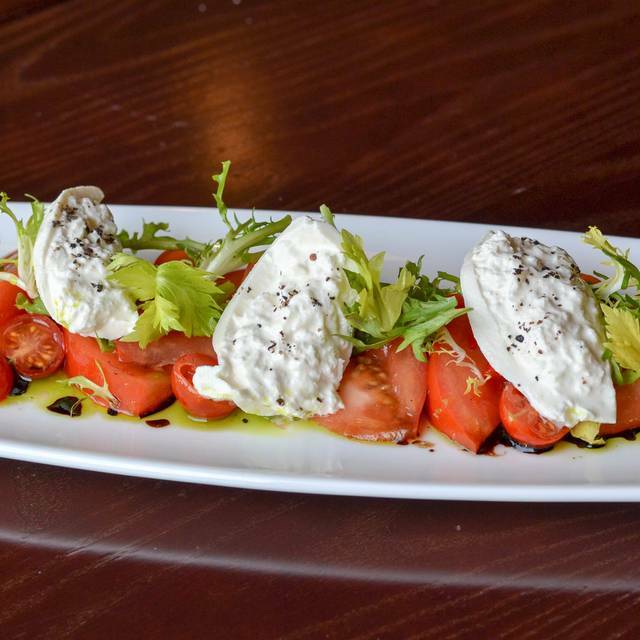 High quality cuisine and excellent service. Many beverage choices, enjoyed the German Riesling. As always, Steak and Vine was excellent! The food and service are always outstanding. 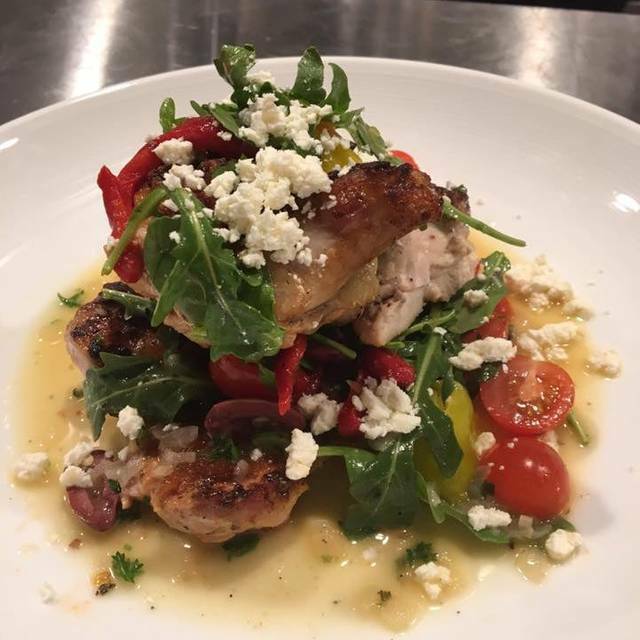 If you are in the LaGrange area, this would definitely be an excellent choice for dinner. You will not be disappointed! 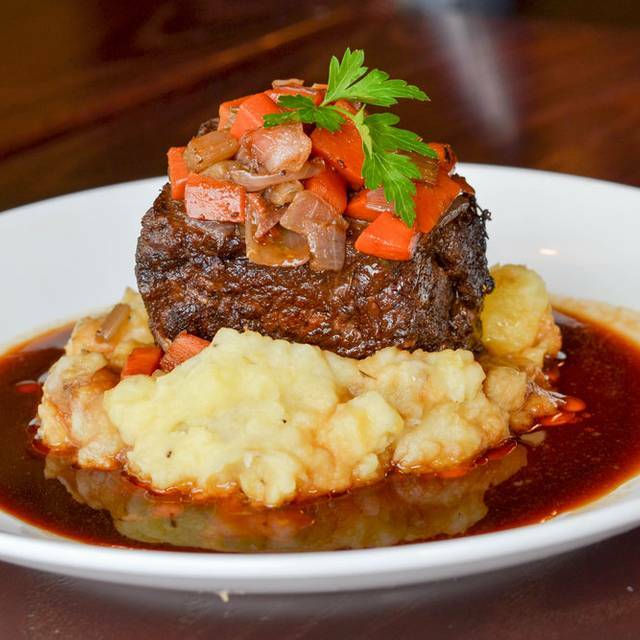 The braised short ribs are amazing! We did not enjoy the experience at Steak + Vine. The radio station that was playing had only commercials on, apparently their usual music service was down. The food was mediocre, the salmon was very fishy and green beans seemed to be the frozen kind. Food was a bit over-salted. The server tried real hard to be attentive but was a bit annoying in the process. The restaurant was empty aside from our party and one other on a Wednesday evening. Sorry Steak + Vine, we will not be back. Brunch and bottomless mimosas were very good. I would recommend you stop in and try them. I had New York strip with mashed potatoes wife had planked salmon. Food was great however dinner had no vegetables included! Nice beer selection! Service was amazing. Megan was on point. Steak was great. They have an awesome bourbon selection. We had a great time here, and will definitely be returning. 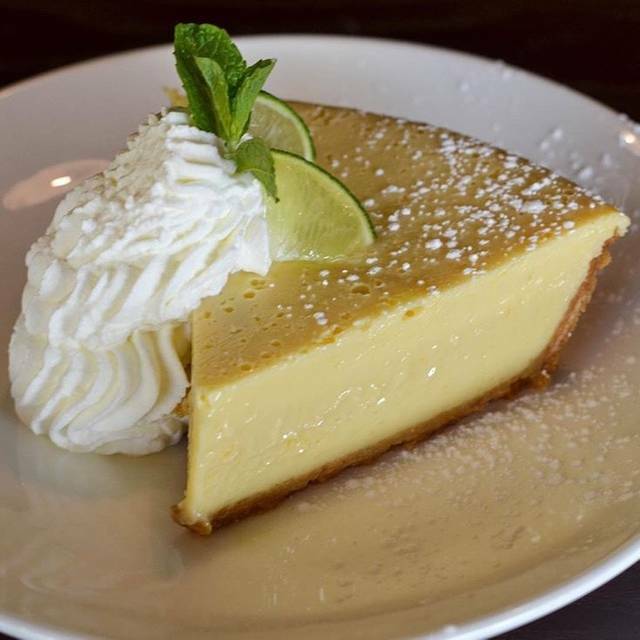 We always enjoy the food, service and atmosphere of Steak & Vine. Cocktails and food are fantastic! I prefer the atmosphere in the bar over the restaurant area. 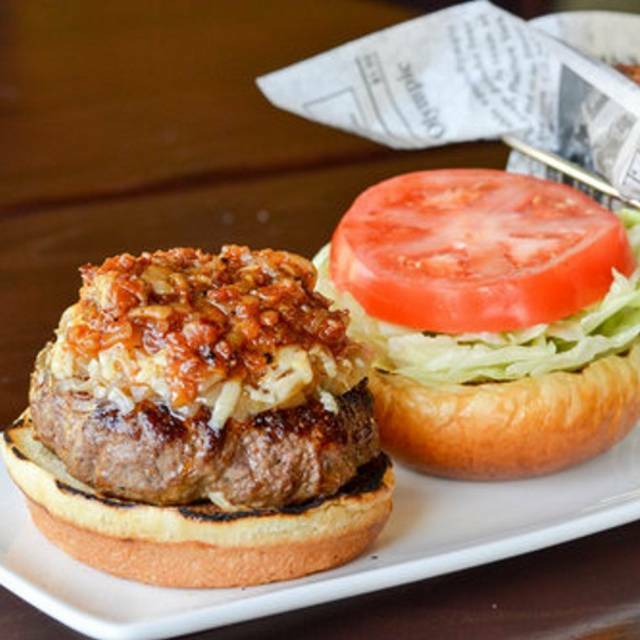 Steak and Vine is a gem in downtown La Grange. Cozy feel with excellent food, wine and service. The Steak and Vine steak treatment is where it's at! The truffle chips and dip were the best size of appetizer to save just enough room for the main course. Had myself a couple of Secret Agent Man cocktails and they were fantastic. Steak cooked perfectly and the candied bacon brussel sprouts were a knockout! Six of us went to celebrate our friends birthday and had an amazing experience. The service was excellent (Leo thank you! ), and the food was exceptional! Highly recommend... also checkout their specials.. we had free corkage and brought our own wine. Nice room, friendly service but downtown prices for uptown food. $36 for two glasses of wine with a short pour. $ 40 for a small average filet. Not worth the $. As always superb meal! The chef knows how to cook a steak to perfection, quality meat seasoned properly makes for a perfect meal!